Way back in 2011, Toyota president and CEO Akio Toyoda discussed the Lexus brand with some potential buyers at the Pebble Beach Concours. 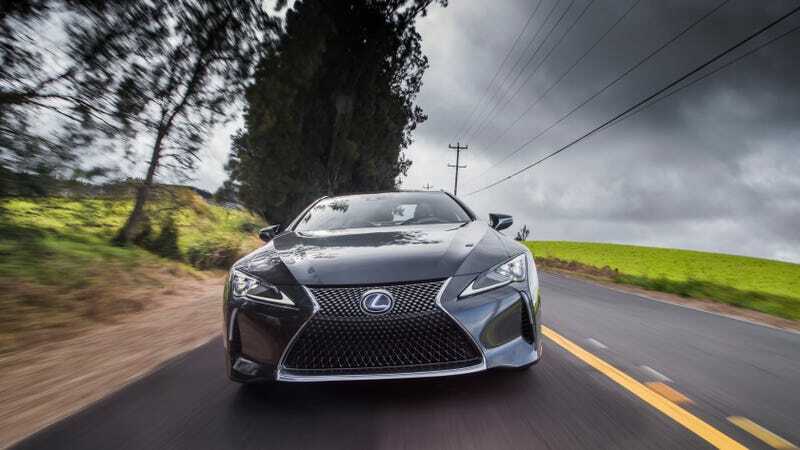 He heard a chorus of “Lexus is boring” and “Lexus should clearly define their brand.” As it happens, 2011 was a down year for Lexus, which was handily outsold by BMW and Mercedes, despite being the luxury car sales kings in 2010. Toyoda vowed then that Lexus would never again be described as boring, and that set about a wholesale change in the brand. The “corporate spindle grille” was one of the results, and oh boy, is it polarizing. It’s somewhat telling that Lexus’ long-time buyers are displeased with the new styling language. The new Lexus grille is not exactly making the same statement as the 1989 LS400's styling did. Bracken goes on to explain that it wasn’t enough to simply make a quality product anymore. In order to remain relevant in the market, Lexus needed to portray a sportier image and focus on advancing new technology. They realized that their average age buyer was nearly 60 years old, and they needed to work toward bringing that down. Certainly the F and F-sport models helped in that metric. Lexus cannot please everyone at all times, so in order to grow their sales relative to BMW and Mercedes, they’ll need to do what it takes to make up those numbers (including shoving Lexus cars into the new Black Panther movie). I’m not one to advocate for design that conforms to any ‘norms’, but I’ve also never liked Lexus’ spindle. Would buyers be more likely to purchase a Lexus if they didn’t have that strange insect mandible grille in front? It may be time to give up the grille.